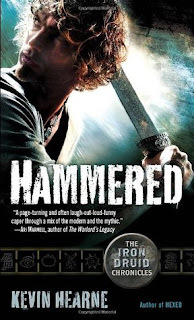 Hammered is book 3 in The Iron Druid Chronicles. I'm trying to binge listen to this series back to back so you'll probably see the other novels up for review on my blog quite soon. It's an Urban Fantasy with mythology that revolves around a druid that somehow always gets into major trouble. I'm seriously loving this series and really intrigued in what direction the author is taking. Atticus O’Sullivan, the last of the druids, keeps winding up immersed in trouble with the Gods. This time around his vampire lawyer, Leif Helgarson and a few others wants to kill Thor, the Norse god of thunder. Atticus finally agrees to take them to Asgard even though he's been warned by a God and Goddess to not go down this path. We get some details from the party traveling with Atticus that sheds some backstory on how Thor wronged them and has you siding with them wanting Thor dead. If that's not enough we also have vampires heading to Arizona which can cause issues in the near future. I have a feeling the vampires are going to pay a larger role in the next novel. Hammered is a great addition to the series, it's setting up for a turn in the series and I can't wait to see where it goes. I love that this series has a good mix of paranormal beings, werewolves, vampires and witches with the addition of mythology mixed in. 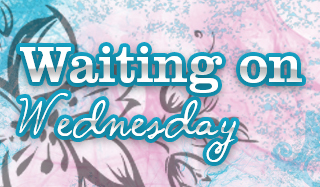 If you haven't started this series yet and love Urban Fantasy you should give it a try.